Annotation: Ramsay is a man twice born, a man who has returned from the hell of the battle-grave at Passchendaele in World War I decorated with the Victoria Cross and destined to be caught in a no man s land where memory, history, and myth collide. As Ramsay tells his story, it begins to seem that from boyhood, he has exerted a perhaps mystical, perhaps pernicious, influence on those around him. His apparently innocent involvement in such innocuous events as the throwing of a snowball or the teaching of card tricks to a small boy in the end prove neither innocent nor innocuous. 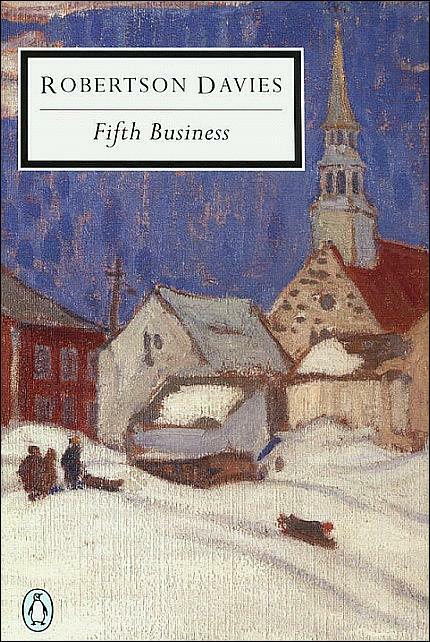 Fifth Business stands alone as a remarkable story told by a rational man who discovers that the marvelous is only another aspect of the real. Here is the patience and faith of the saints.